A stunning assortment of milk, white & dark chocolate ganache truffles. 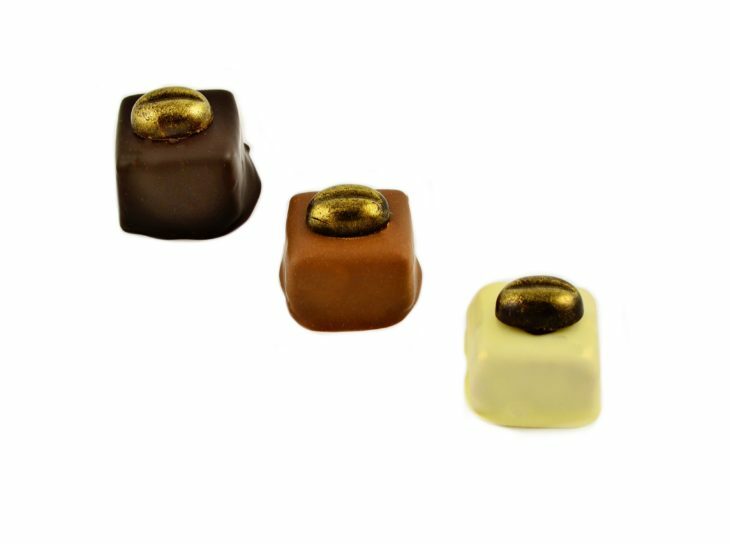 These truffles combined with a fine aromatic coffee, a dash of martini and topped with a gold dusted coffee bean, are perfect for any chocolate lover. 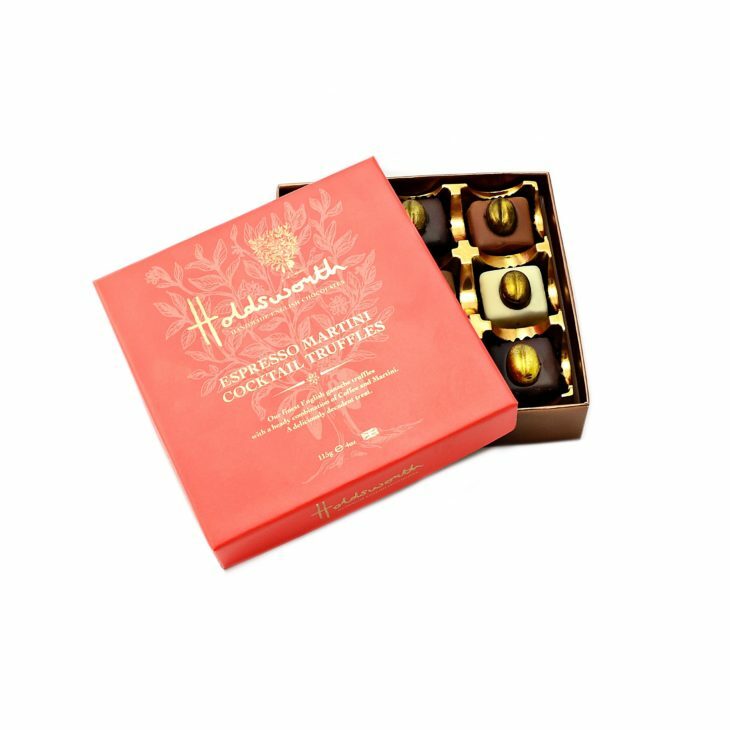 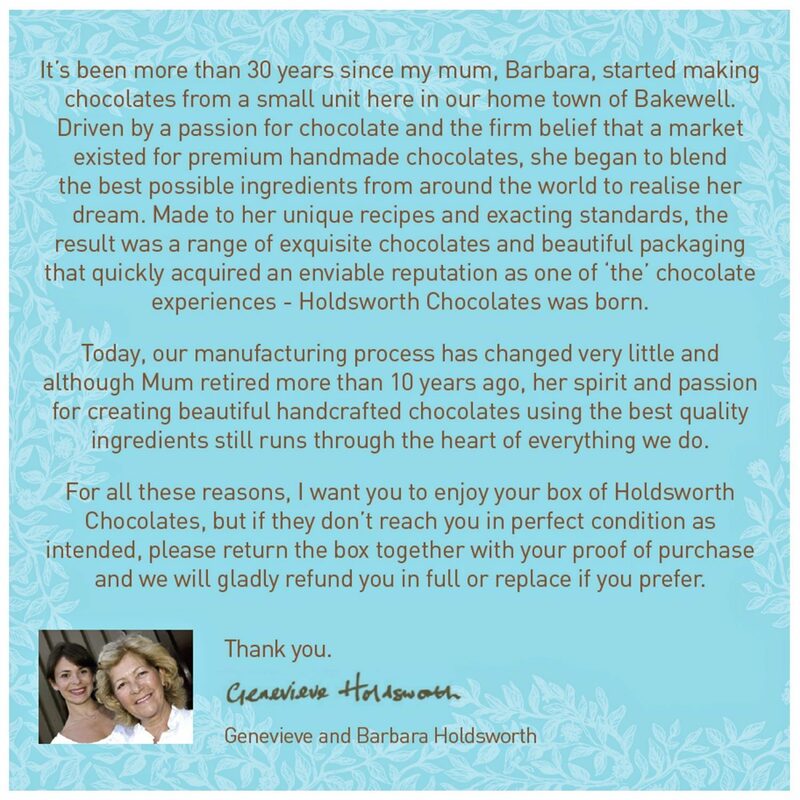 This gift box also comes in Strawberry & Marc de Champagne, English Peppermint Fondants and Rose & Violet Creams – Click to view. Ingredients: Dark Chocolate (Cocoa Mass, Sugar, Cocoa Butter, Emulsifier: Soya Lecithin, Natural Vanilla), Butter (Milk), Fondant (Sugar, Glucose (Wheat), Water, Preservative: Sulphur Dioxide), Milk Chocolate (Sugar, Cocoa Butter, Whole Milk Powder, Cocoa Mass, Emulsifier: Soya Lecithin, Natural Vanilla), White Chocolate (Sugar, Cocoa Butter, Whole Milk Powder, Emulsifier: Soya Lecithin, Natural Vanilla), Alcohol (Vodka 7%, Coffee Liqueur 3%), Coffee Granules 1%, Natural Flavouring: Coffee 1%, Colouring (Titanium Dioxide, Iron Oxide).